In-laws hold a unique position in family businesses. This may be said for both in-laws who work within the business and those who, for a variety of reasons, do not. This unique position has an impact on the family and business systems as well as the interaction between such systems. When in-laws work within the business, some questions that may arise are whether or not they form part of the family, whether they should be subject to the same treatment as family members or whether they should be treated differently. Despite this ambiguity, the study of family business thus far has failed to account directly for their role and position in the family business. Situating the in-law in the family business is an issue many families eventually face. Experiences vary as there are in-laws who are a tremendous asset to the family and the business whilst others may find it difficult to understand the central role the business plays in the family’s culture and value system. There exists a reality that should not be underrated of in-laws who choose to work in the family business and who experience the difficulties of not being treated equally to family members. They tend to work doubly hard to prove themselves yet often do not perceive that they reap the same benefits that family members do. A reason to this may be that there are many fears, not always totally unfounded, of the problems that in-laws can bring into the business and subsequently, the family. Since a main objective is to maintain harmonious relationships many look at the in-law as an additional complexity that could be avoided. It appears that many rules can be bent for family members but there are second thoughts for in-laws. Most in-laws, irrespective of whether or not they work in the business, who were not brought up in business owning families experience a culture shock. 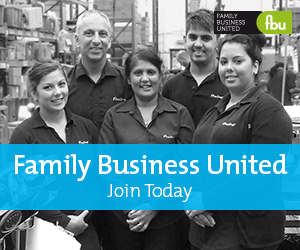 Most business-owning families have used the business as the centre of conversation for decades. If in-laws are not closely involved in the business they may feel left out. In-laws that come from a non business-owning family may lack the experience to prepare them for the dominance of the family business. Difference in values and expectations may cause marital conflicts. A business owning family’s expectations regarding holidays, free weekends or regular dinner times may lead to real strain. Sometimes in-laws may resent the influence of the business family over their lifestyles. Conflict is part of family life. Different people and different families experience conflict in differing ways. In-laws, both those who work in the family business and those who do not, may view matters differently from family members working in the business. The probability and frequency of conflict increases as the family expands. Fear of disagreements or conflicts can make families resist change as they may seek to avoid conflict at all costs. Recognising and grappling with conflict is a sign of strength and progress. The family’s skill in dealing with conflict and confidence that conflicts should be openly and directly addressed impact whether a family business experiences success or pain in the face of conflict. The possibility of divorce is one of the main demotivational factors for in-law participation. Not dealing with the possibility of divorce is unrealistic. Prenuptial agreements can create hard feelings with in-laws. Family rules and regulations are best established beforehand, as part of the family constitution, so when potential in-laws learn about such policies they are not taken personally. In-laws play a very important role in successful generational transitions. In-laws who do not directly work within the family business still play the important role of educating and socialising the next generation leaders into the family business. The way these in-laws perceive the family business and the messages they send to the next generation, both implicitly and explicitly, help to shape and mould the next generation of family business leaders. Fostering open communication is the overarching recommendation. Other recommendations are to educate in-laws about the family business, involve then in regular family meetings and establish times when discussing the family business is off limits. Some families develop a family code that spells out what behaviour is encouraged by all family members. Another recommendation is for family business owners to model strong, loving behaviour in one’s marriage. Flexible family boundaries, excellent parent-child relations, affectionate and caring siblings and the ‘match’ between in-laws’ personality and the background of the family have all been found to lead to positive in-law participation. In conclusion, the professionally managed business is inclusive and looks towards in-laws as having full participatory roles. Most often this expectation is expressed and information is shared openly. In-laws, in turn, reciprocate with loyalty, dedication and commitment. About the Author - Roberta Fenech is an occupational psychologist. She is an Associate Consultant for EMCS group and a lecturer at St Martin’s Institute of Technology.